One of the frustrating parts of remembering heart murmurs for the ABIM Internal Medicine exam are the various maneuvers and factors that affect intensity. 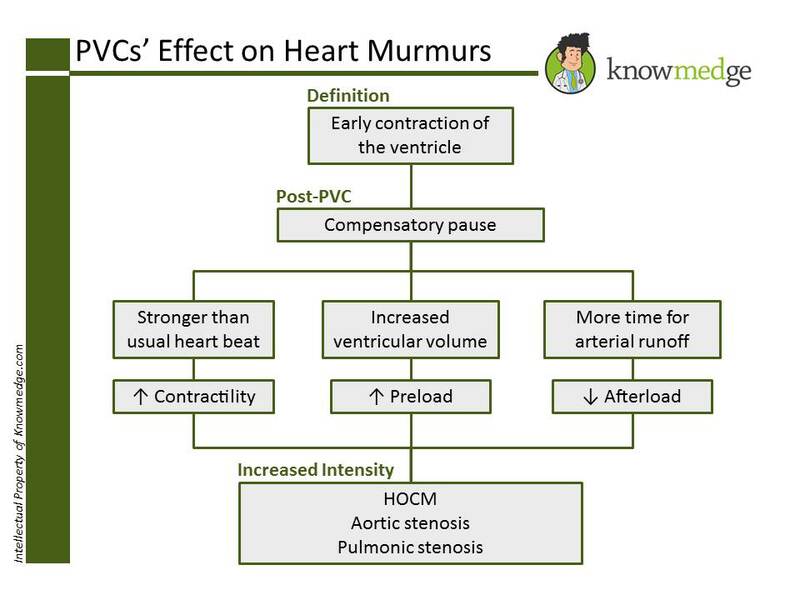 In today’s post, we present a few words on the impact of premature ventricular complexes (PVCs) on heart murmurs, a topic that (for some reason) many review sources like MKSAP avoid covering. As you may recall, the two murmurs that act opposite to the others for most maneuvers are hyperobstructive cardiomyopathy (HOCM) and mitral valve prolapse. They increase in intensity with standing and the Valsalva maneuver and decrease in intensity with squatting, sitting, or leg raising. Being premature, a PVC represents an early contraction of the ventricle. In the post PVC period, there is a compensatory pause–during which there is volume potentiation leading to increased ventricular volume–followed by a beat that is stronger than the normal heart beats. This increased myocardial contractility and increased preload from the longer filling time is more evident in the hypertrophied ventricular muscle of HOCM or aortic stenosis (in which the ventricle must squeeze against a smaller valve opening). The intensity is further increased by the third effect of the PVC: greater time for arterial runoff (decreasing afterload). Pulmonic stenosis also will increase post-PVC but keep in mind that this murmur differs from the previous two in being right sided and thus increasing with inhalation like all right-sided murmurs. See, that wasn’t so bad. 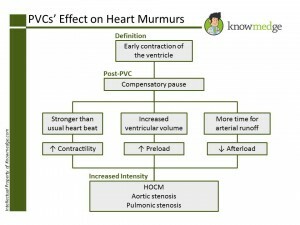 Rather than memorizing, we know why the murmurs associated with HOCM, aortic stenosis, and pulmonic stenosis increase in intensity following a PVC. 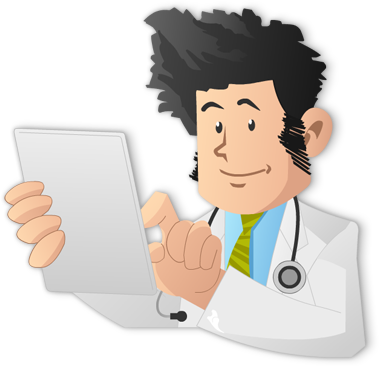 You can find additional high-yield ABIM topics and questions in the Knowmedge Internal Medicine ABIM Board Exam Review Questions QVault.